Carnival Cruise Lines has named Dolores L. Calicchio vice president - shipboard human resources, effective March 31, 2014. Calicchio will report to Ruben Rodriguez, Carnival’s executive vice president - ship operations. Calicchio will be responsible for developing, integrating and managing the cruise line’s core human resource strategy and functions for all shipboard hotel and marine personnel across Carnival’s 24-ship fleet. In addition, she will oversee the line’s recruiting efforts, crew training and certification, and compensation, benefits, and crew welfare programs. 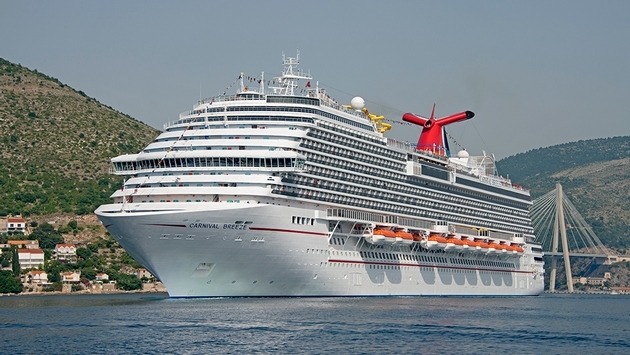 In collaboration with the ship operations team, Calicchio also will oversee the continuing development of the Carnival Service Values fleetwide hospitality training program, as well as reinforce the line’s culture of safety and reliability. Calicchio brings 15 years of senior-level experience to her new position. Most recently she was chief people officer at BAYADA Home Health Care, an $850 million, privately held home health care company with 22,000 employees.